-Adds Region selection to meet requirements in either EU/UK or AUS. EU/UK is default. After the process completes the Wi-Fi will restart. 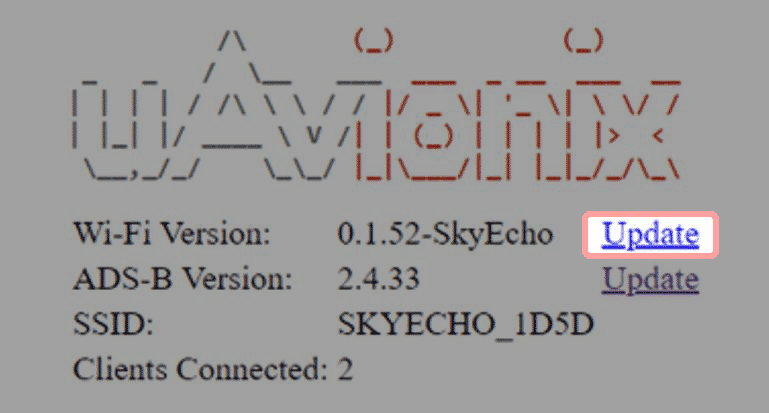 You may need to reconnect to the SkyEcho Wi-Fi. 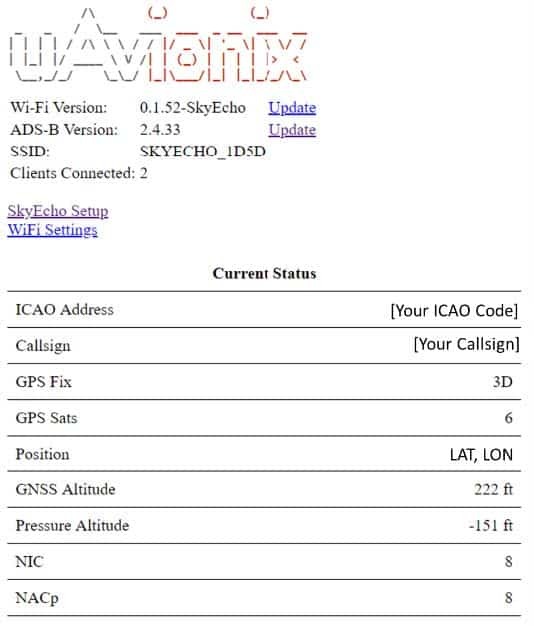 After completion verify the SkyEcho 2 Transceiver is also up to date by following the steps located here.